Not a great deal of time so I will keep this to the point. Initiative caught the eye on debut for Henry Spiller. In many respects, it was a remarkable performance to finish runner-up after a slow start. Joegogo could be a viable each-way alternative if prices allow. Clive Cox has a good string of juveniles and Autumn Leaves is worth noting in the betting. Has fair each-way claims if priced 13/2 & less. It would be significant if started 4/1 or less. All debutantes. The betting should help sort the wheat from the chaff. 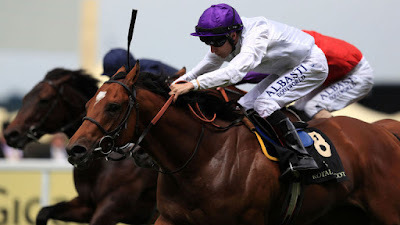 Marco Botti can win with debutantes and does well at this seaside course. Early Dawn may hold each-way claims if priced 10/1 & less SP. Best watched if outside this guide. Michael Bell has a handful of talented two-year-olds headed by the impressive Main Desire. First Drive is owned by the Queen and ridden by Ryan Moore who has three rides here. This homebred daughter of Street Cry is worthy of respect if priced 13/2 & less SP. One trainer who hits the turf running here is Roger Varian who fields Hermosita who races in the familiar silks of Newsells Park Stud. This daughter of Exceed And Excel comes from a good family. Simon Crisford has been in the superior form with his two-year-olds of last season which saw most win on debut. However, this year's lack is due to numbers rather than disappointments. Tell Me cost 80,000E at the yearling sales. Worthy of respect especially if backed. Another trainer who sends smart juveniles to Yarmouth is John Gosden. Tivoli is a daughter of Dark Angel and expensive yearling purchase at 180,000G. Hold decent each-way claims. Conclusion: Definitely let the betting settle because it may highlight a few weak links. Hermosita, Tell Me & Tivoli look to be the major hopes. In fact, all three trainers can go very well with debutantes so a difficult race. Early Dawn & First Drive would make this a tough race to assess if in their respective betting guides. I would take a watching brief. Aquadrabra has been running consistently behind a few fair types, Not sure if I would jump in at short odds but if drifting a touch in the betting looks the sort to put in an each-way double or treble.